Keeping our children safe is our number one priority. There are many rules for children to learn such as how to safely ride a bike, cross a street, and who to avoid. Below you will find important points to discuss with your children so they remain safe when they are playing at the park, walking to the library, riding their bike, or even when with their friends in their own front yard. Children should practice saying these statement with their parents. For example, ”When you see a car following you closely while you are riding your bike, and it makes you feel concerned, say, ‘I have an uh-oh feeling about how that car is driving.” and then share with your child how to get to safety: Riding to a friend’s house, to home, or to a public place like a library or restaurant where they can seek help from an adult. Everywhere children go, they are bound to see strangers. Children need to learn how to protect themselves when around people they do not know. By teaching children how to respond to situations where they feel uncomfortable around a stranger is important. One tip from experts is to teach children to use the phrase “uh-oh feeling”. Help them learn to identify safe strangers such as police officers or firefighters, teachers, librarians. In the event of an emergency, children may need to seek help. Children should learn how to say “no” to situations that make them feel unsafe and uncomfortable. Arm your child with important information from an early age such as your phone number and street address. Teach your children to inform you of where they are at all times, and teach them to ask you permission before they depart your home and go anywhere. Teach them to trust their instincts: If they are scared or uncomfortable, seek the safety of known adults. Teach them to be assertive: They should know how to say no to an adult and to run away from any adult stranger and dangerous situations. Encourage your children to never go out and play alone, walk at night, or put themselves in situations that could be dangerous. 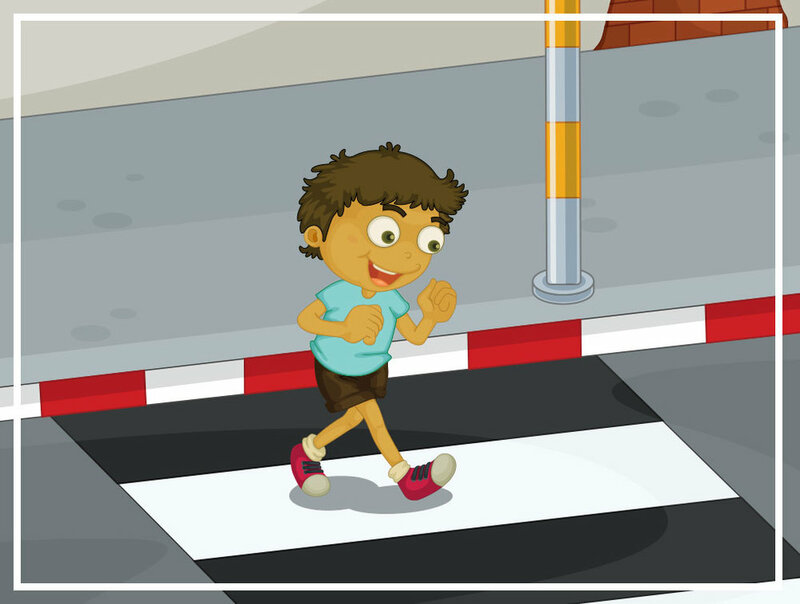 Children should learn early to look both right and left before stepping off a curb into the street. They need to continue to be observant until they have safely crossed to the other side. Children should not be looking at phones, using electronic devices, or wearing headphones. Teach them to avoid using these items while crossing the street. Alway have children cross in designated crosswalks paying attention to walk indicator lights to walk safely. Children should walk on sidewalks whenever possible. If there are no sidewalks, children should walk facing traffic as far to the left of the road as possible. Children should avoid trying to cross a street emerging from two parked cars. Often drivers cannot see a child between two cars until the child has stepped into traffic. Young children should always cross with an adult as they are unable to judge safely the speed and distance of oncoming cars. Be a role model for your children what pedestrian safety looks like. Riding a bike is a fun and enjoyable way to get around. It offers freedom, exercise, and an opportunity to develop core skills like awareness of surroundings and being a responsible sharer of the road. Below you will find important tips for keeping your child safe while riding a bike. Children should always wear a helmet that fits properly to ensure that in a fall, their head is protected for injury. 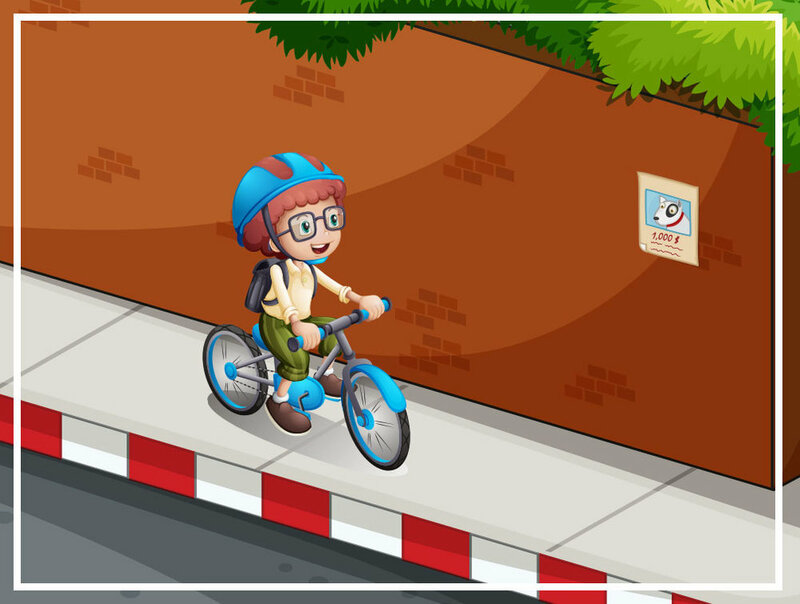 Children should ride on the sidewalk where permitted. If they must ride in the street, they need to ride in the same direction as the traffic, as far to the right as possible. Children should learn hand signals as well as the basic rules of the road such as stopping at red lights, crossing a bike in a crosswalk, and to not swerve between cars or ride out between two parked cars. Ride bikes with your children to ensure your child is safe to ride alone or with friends. Remind children that they share the road with vehicles, to be observant of their surroundings, and to avoid wearing earphones that can make listening for car horns or emergency vehicles difficult. Nothing is more important than keeping our children safe. language, they will be prepared to safely navigate when they are out and about.